The task of tidying up your sound is one part of the recording process many startup musicians want to attempt a leap over, but end up knee-deep in a mucky product instead. Jordan Hoversholm is the gentleman placing his coat in the crosswalk as a musical stepping stone with Northern Noize, a local hip-hop-centric record label startup that lives by an offer: A $100 track mixing and mastering spitshine to radio quality. Like any other rap enthusiast, Hoversholm started out crowded around some less than admirable equipment in a basement with his group, Organized Rhyme (which, he admits, sounded far more clever seven years ago than it does today). Upon maxing out on self-learning industry-standard recording software, ProTools, he said the next logical step was packing bags for the Madison Media Institute, where he picked up an associate’s degree in recording and music technology and his ProTools certification to boot. After school, Hoversholm spent time gaining clout engineering for his former Madison area colleagues before returning to the Chippewa Valley – a nice transition to the present day, where he does mixing and mastering for area familiars like Throttle Clan’s Jake Lacoste and Skotty Benz; most recently and notably on Skotty’s Clarity album. Time committed to engineering musicians, YouTubers, even podcasts has taken away from his basement cypher roots. But Hoversholm is on his way back to concentrating on developing his own sound with a medley of songs from years ago to the present day. The lead single off of Just Jordan's Smoke and Mirrors is an endearing love letter to Eau Claire called "Home." The beat goes hard with fluttering string samples and lines like "In this little city I've probably had my best and worst nights." It’s a great thing Northern Noize allowed Hoversholm some musical popularity, because in supplement of his hard-hitting sound comes a track listing heavy on local features to pique your interest. On "Home," he's joined by local hip hop compatriots Luke G and Jake Lacoste for a throbbing summer jam that's definitive of these dudes' bittersweet (mostly sweet) Chippewa Valley upbringing. Just Jordan makes it clear that as long as he's in his hometown, he's gonna make waves. What better way to do than with his pals and the expertise required to deliver a clean, studio quality hip hop sound, start to finish. Look out for Just Jordan’s tape Smoke and Mirrors, expected out in August. 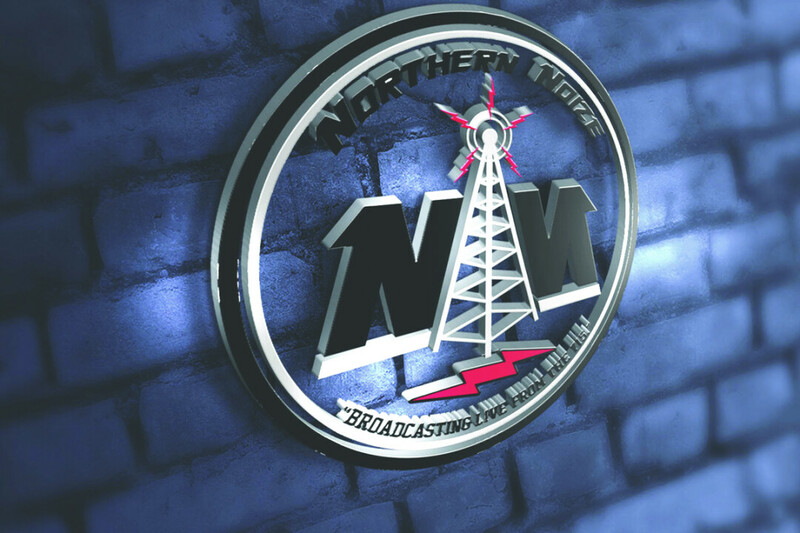 To rent out Northern Noize’s space or inquire about media mastery, contact Hoversholm at www.northernnoize.com.